Students can register with the Swansea University HEAR awards for volunteering with us. 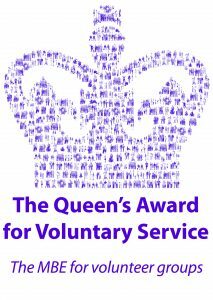 For a bronze award the volunteer must complete criteria for one role, for a silver award the volunteer needs to complete criteria for 2 roles and for gold they need to complete criteria for 3 roles. Volunteers roles are listed on this page. The list starts with ‘Front of House Assistant’. Volunteers can fulfil more than one role. For example, they can be both a gallery assistant and an educational assistant and educational leader. However some roles are progressive, so inoder to become an educational leader you must first become an educational assistant. All volunteer roles must actively support the museum’s mission in the interpretation and care of Egyptian Archaeological material and related documentation for the education and entertainment of the public. They will do this by actively practising the three core roles of the museum in any role they undertake: Preservation of the collection; Education and Widening participation. Simply fill in the application form and post it to the Volunteer Manager. He will acknowledge your application, and process it by sending off for your references. Please follow all subsequent instructions to apply for a DBS check. The DBS will be sent to your home address. Once you have received this, please contact the Volunteer Manager and as long as your references have been returned he will organise a date for your induction. What time commitment is there, and when can I volunteer?